Yes, you can combine language and content objectives on one page. You can even map out a full week! The challenge of teaching both language and content to ELLs is enormous. Your school has told you what to teach (content). Your school has given you the class lists so you know whom you will be teaching (the ELLs). And your school has made it clear that these students must demonstrate their mastery of English (language). Now it is up to you to figure out how to do it. 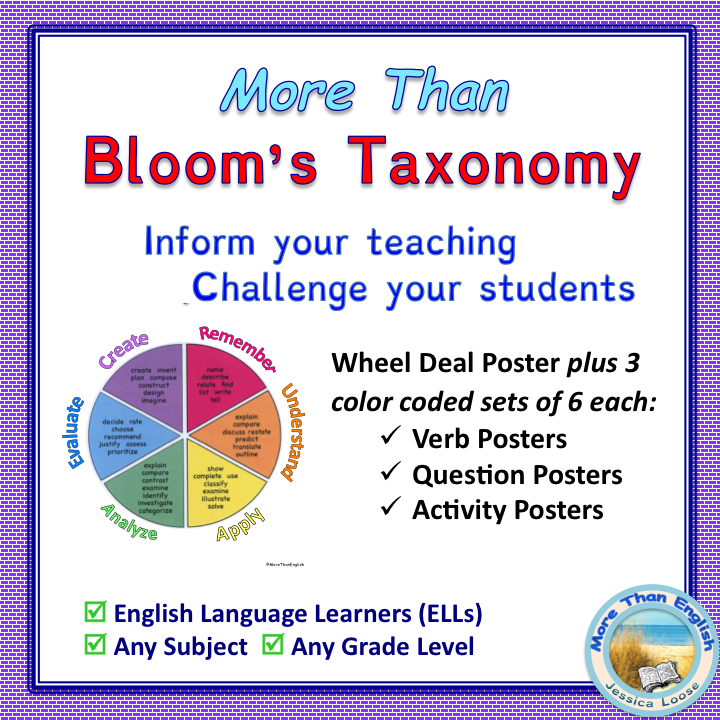 After several years of teaching ESL, I figured out how to design comprehensive lesson plans that include Student Levels of Proficiency, Essential Question, Content and Language Objectives, Academic Vocabulary, Bloom’s Levels of Learning – AND – the nuts and bolts of Strategies, Prep, Assessment, and Reflection. 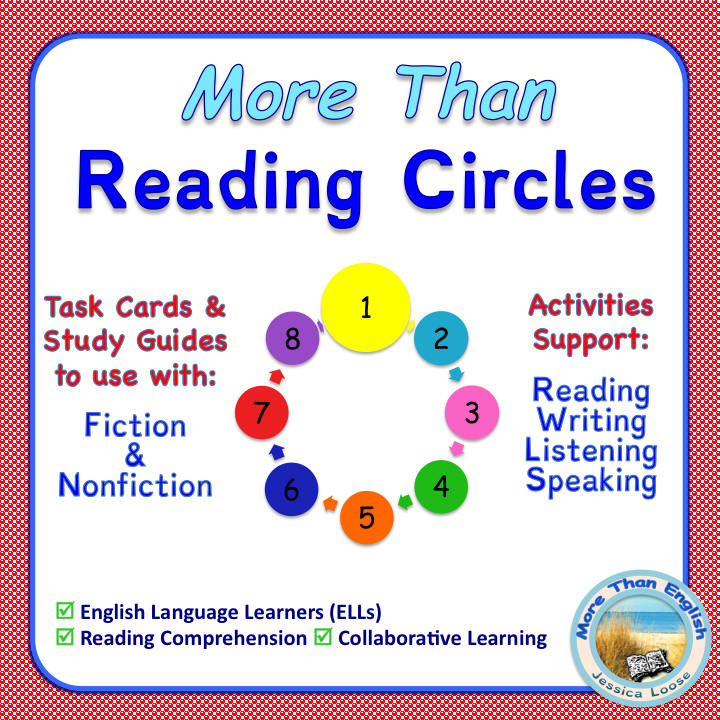 Gather all the information you can on the language proficiency of your students in Listening, Speaking, Reading, and Writing. Fill in this CAN-DO Descriptors class name chart created by WIDA so you can plan for individual and small group needs. 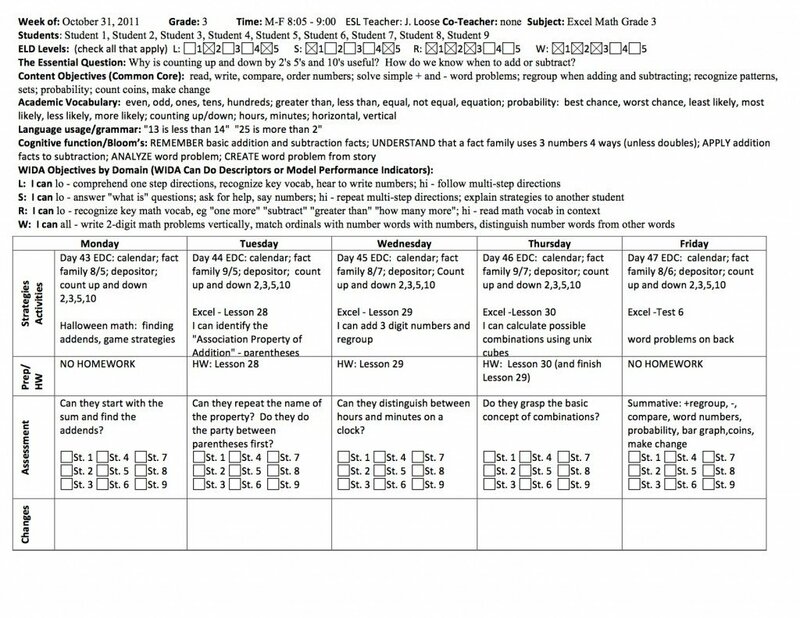 Copy and paste the CAN-DO Descriptors for your grade level. 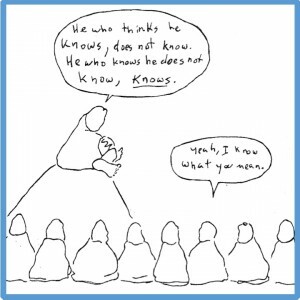 Keep in mind that the students’ latest test scores are designed to show what they know. As you map out your teaching, consider the skills necessary to advance to the next level. Select the content objectives for each subject area. 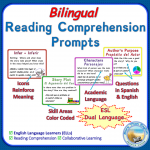 For ELA, we are lucky that Tulare, CA has shared these ELA Bookmarks that include essential skills and concepts, academic vocabulary, and questions stems. Expeditionary Learning, also in CA, created these Student Friendly Math “I Can” Statements. Determine which vocabulary needs to be taught. Here are strategies for teaching academic vocabulary. 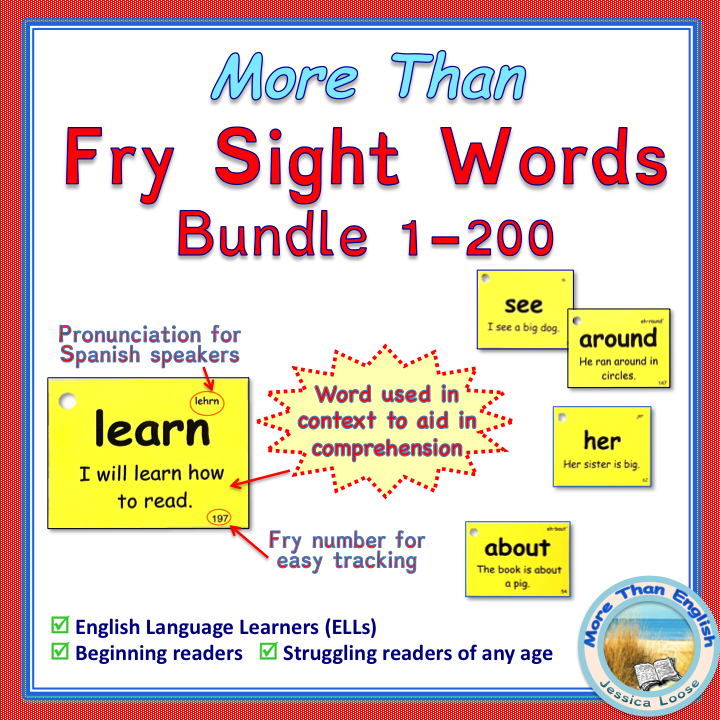 Choose language objectives based on your students’ proficiency and that fit in with the content you are teaching. Collect resources on the content topic you are teaching so that you have books, magazines, and weblinks available at varying levels of complexity. I usually raid the school and public libraries at the beginning of each unit so I can spread out a wide range of books on the floor for the students to explore. NOW, you can start to “plan” your activities, your pre- and post- assessments, and all those other instructional goodies. If you do steps 1-4 first, the actual lesson planning will be a breeze. This is a completed lesson plan for third grade ESL Math that gives a quick overview of a full week of lessons. Download a blank lesson planning template in Word. The gray boxes are set up for you to fill in and will expand to fit your entries. When you print the lesson plan, it will be in black and white with no gray shading.